Nikita Singh, the best-selling author of nine romantic books recently launched her and tenth novel, ‘Every Time It Rains’ on 12 Feb 2017. The plot of the novel revolves around endearing love story of a heartbroken girl Laila, who is deeply hurt and trying hard to recover from painful memories of past relationship. Laila, who is hurt, fighting from herself to come out of the darkness prevailing in her life and Maahi. Laila and Maahi are best friends and are characters from a previous book of hers. The prequel narrated their from Mahi’s perspective whereas ‘Every Time it Rains’ is centered around the life of Laila. And, JD- a new face of ‘love’ for Laila. 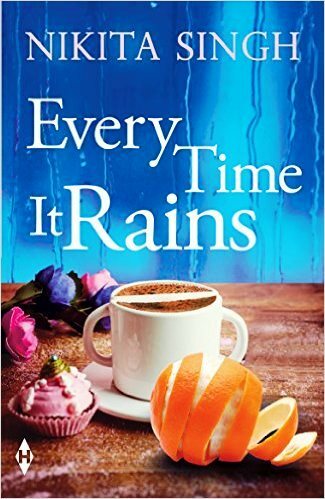 The story of ‘Every Time It Rains’ is about Laila who is hurt and still recovering from a bad relationship. The author has beautifully narrated a heart breaking yet heartwarming tale of two hearts- Laila and JD. While Laila being a badass, dark humor, business woman, cynical and eventually hurt, JD is a careless, maverick and witty guy who can’t just keep calm. Laila finds it difficult for her to resist herself from falling in love with him. But Laila has a past that holds her back whenever she wants to make a move ahead. Every time it rains, Laila unfortunately gets lost in the faded memories of past as she was once in love with someone madly- a closed chapter of her life. However, she is brave and a successful entrepreneur. In order to divert herself, Laila runs a bakery with an enduring commitment to her work. Her dedication pays and she gets an opportunity to go nationwide for cracking a big business deal. This marks the turning point in her life as she has to fight herself to not to open up her heart and fall back in love, again. The novel is really impressive and tells about how JD’s unconditional love for Laila acts as a pain reliever and eventually heals the pain from her past. ‘Every Time It Rains’ is all about learning to love again with a broken heart and feeling the power of love, togetherness and true connection. The novel is written to convey a beautiful message in a simple manner takes you on an emotional rollercoaster for hours. 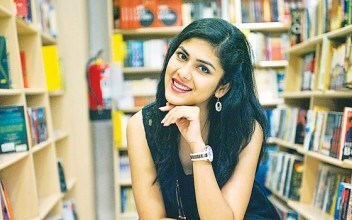 Nikita Singh is bestselling Indian author born in 1991 in Bihar. She spent a part of her life and studied Pharmacy. While her day in college, she wrote her first novel, Love @ Facebook, in 2011. The book became popular and she wrote its sequel in the same year. Nikita has published two more books with the author Durjoy Datta. Nikita has written nine novels. Her last novel, Like a Love Song, was published in 2016. Born in Patna and raised in Indore, she spent a few years working as an editor in the publishing world in New Delhi before moving to New York for her MFA in creative writing at The New School. Nikita lives in Manhattan, where she works as a fashion stylist. She has also received Young Achievers Award in 2013. Nikita also speaks at various TEDx talks across India.